In 2012, Nintendo had the chance to deliver a stunning E3 conference and gain a hat trick with their previously outstanding 2010 and 2011 shows. With their new console, the Wii U, due for launch soon, many new titles to announce and dozens of new games for their 3DS handheld system, 2012 was set to be a memorable E3. And it was - for all the wrong reasons. Pokémon X and Y took the spotlight as the show began. 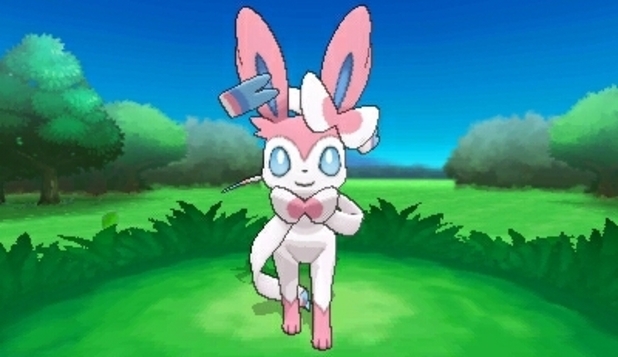 The new trailer depicted a better view of the intense, dynamic 3D battle scenarios and confirmed that the elusive Sylveon Pokémon is indeed part of the new Fairy type - a decision I feared would be true and one that I'm not 100% happy with. I had always hoped Nintendo would develop a Solar or Light type to contrast with the mysterious Darkness type, and the choice to have a Fairy type seems a little odd and random. The trailer also showed a new mode called Pokémon-Amie which lets you play and bond with your Pokémon characters. It looks okay but overall the trailer wasn't very enthralling and left me a little underwhelmed. Next up was Super Mario 3D World, the next installment the main 3D Mario series. Unlike past console iterations, Mario 3D World does not utilize the gameplay mechanic of collecting stars, but instead acts as a sequel to 2011's Super Mario 3D Land for 3DS. The game seems to offer linear but complex levels that conclude with a traditional goal post that up to four players can race towards. The new cat suit is also introduced, appearing to give Mario the ability to run quickly on all fours and climb up walls with ease. The game looks visually stunning when it comes to artistic and technical appeal, and I can't wait to get my hands on it in December. Mario returned again with the next announcement: Mario Kart 8, the eighth installment to Nintendo's acclaimed kart racing franchise and the second to follow the sporadic numbering format the series adopted with the 3DS iteration. Mario Kart Wii and Mario Kart 7 have produced their glorious HD lovechild; returning are bikes from the excellent Wii installment alongside the hanggliders and underwater driving sections from the 3DS game. One of the biggest new additions is the insane, F-Zero-esque track design which features loops, inverted stretches of road and numerous twists and dizzying turns. I've always enjoyed the Mario Kart series, even the more simplistic 3DS version, so hopefully the Wii U's visually gorgeous effort can deliver something truly great. The presentation also had a strong focus on upcoming third party titles, including Batman: Arkham Origins, Disney Infinity, Rayman Legends, Scribblenauts, Sonic Lost World and...Just Dance? Anyway, the third party lineup looks reasonably strong, especially when you consider the Wii U can now get the latest HD titles that the Wii missed out on during its prime. The Legend of Zelda: Wind Waker was also previewed in its glorious HD makeover, even if the footage shown was a little primitive and boring. Still, it looks set to be a strong addition to the Wii U's upcoming library, and the new game mechanics Nintendo are set to install should hopefully improve it further. Donkey Kong Country: Tropical Freeze came next, acting as a successor to Retro Studios' Donkey Kong Country Returns from 2010 which recently saw a pointless 3DS port. The game uses very similar gameplay mechanics and employs a stronger focus on dynamic camera angles during gameplay, enriching the experience and focusing strongly on the beautifully crafted 3D backdrops. It may look a little familiar initially, but Retro have never disappointed - so this is sure to be an absolute gem if it lives up to the standards of its predecessor. And then the mother of all video game announcements - the next iteration of the Super Smash Bros. franchise. The currently untitled (or unsubtitled?) edition will see a release in 2014, and will adopt cel shaded graphics on its handheld version and beautiful HD visuals on Wii U. We know little about the new mechanics as the trailer only depicted a few new stages and the manic fighting gameplay we all know and love, including the welcome return of Smash Balls from Brawl. Newcomers include Villager from Animal Crossing and the highly demanded Mega Man who boasts an array of powerful attacks. The gameplay looks as intense as ever, so let's hope the final product turns out as brilliant as it should be. You better have worked hard on the online, Nintendo. And so that's my thoughts on Nintendo's E3 direct stream, which they should probably sort out in the future as it kept lagging. The 40 minute presentation wasn't as memorable or exciting as the atmosphere of an E3 conference, but what was announced proved to be incredibly strong and gave me reason to put faith back into my Wii U. Good work, Ninty!